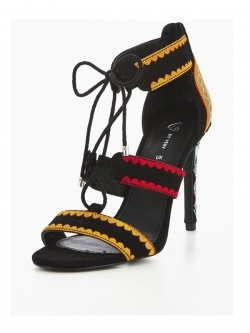 Flirt with the festival trend with these bold and beautiful sandals from V by Very. 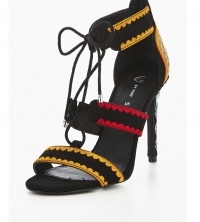 In classic black, they feature colourful detailing and a funky geo print around the stiletto heel. 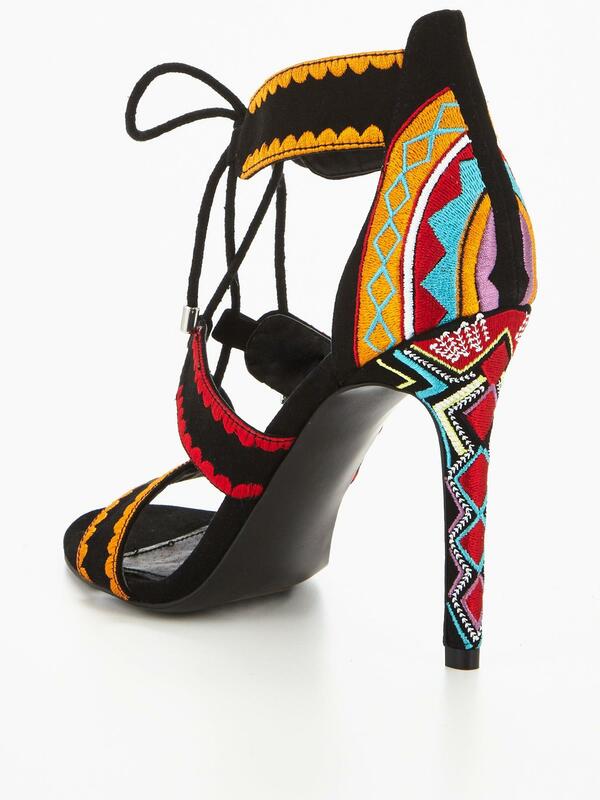 Finished with a chic tie to the front, these Sassy heels are a statement essential for your shoe-drobe. Wear with a pretty playsuit and tanned pins when you want to stop the show! Beautiful shoes. The embroidery is fab and they are super comfortable.